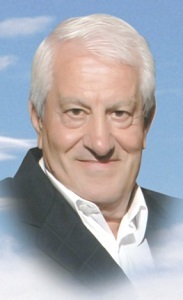 With sadness we announce the passing of Achille Lepore, beloved husband of Carmela Dilena, on March 26 2019 at the age of 76. He will be sadly missed by his children: Donato, Angela, Vincenzo (Maria), Yolanda (Tony), Vittorio (Melanie), and his grandchildren. A great and wonderful person,there are no Words to describe how much we will miss him,Ciao Compare Achille, guardaci tu adesso da lassu’. There are no Words to describe how good and amazing this person has been,We will miss him forever!!!!! Sentite condoglianze, vi abbracciamo in questo triste momento. Con affetto Iolanda di Gennaro, Elisa e Mario Clerici. Our sincere condolences to all your family. My deepest sympathies to you and your family. He will be deeply missed. My deepest sympathies to you and family. He will be deeply missed.